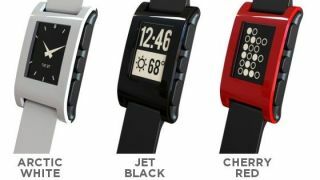 The Pebble Smartwatch, which raised over $10 million (around £6.5 million) on crowd-funding site Kickstarter, will not meet its first deadline of a September shipment. The Pebble team are yet to announce a new projected date for Pebble backers to start keeping an eye out for their new toys, but promises that the team is largely sticking to its timetable. "In terms of our schedule, we're sticking pretty closely to an aggressive timetable we put together at the end of May (remember our first timetable was created before we launched on Kickstarter, when we were expecting to manufacture just 1,000 Pebbles)," co-founder Eric Migicovsky said. "While we won't be able to start shipping Pebbles in September, our current schedule has us on track to go from manufacturing zero to 15,000 Pebbles per week as soon as possible." The Pebble smartwatch is a watch you can make your own using apps and customised watchfaces, as well as connecting it to your phone using Bluetooth. It uses an e-paper display so it's readable even in bright sunlight. It made web-waves when it hit Kickstarter earlier this year, garnering $10,266,845 of funding from 68,929 backers.